80% of visitors find a website through a query to a search engine. 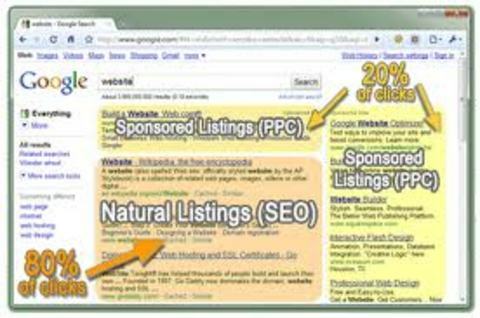 80% of those clicks are on natural or organic listings. If you want your website to be found on the internet, an effective SEO (Search Engine Optimization) program is a requirement. SEO is a precise marketing science; one that takes a strategy, diligent effort and generally 2 to 6 months to get to a top rank. The results are substantial and lasting. Good SEO professionals, for online businesses, are one of their most valuable assets. ROI: Even if you get to a top rank, it doesn’t do much good if you don’t establish the action you want people to take once they get there. Google Analytics is an essential guide. It’s the GPS system for a website. Before you begin your SEO program, you should benchmark key measures like Unique Visitors, Bounce Rate, Keywords, Content, Traffic Sources and, if you sell online, Sales, Conversion, and Average Order Value. KEYWORDS: The currency of an SEO program is keywords. Everyone should allocate time for research and discovery. The best tool to spot opportunities is Google Trends. It’s the Library of Congress for keywords because it’s Google entire catalogue. Once you identified keywords, the best tools for substantiating them is the Google Adwords Keyword Tool. Look at monthly searches, competitiveness and CPC (Cost Per Click). It’s good to know what others pay for a word that you achieve a natural listing. The Trellian Keyword Discovery Tool is also excellent. LINKS: The two factors that drive search rank are relevance and authority. Keywords establish relevance but links establish authority. Because spammers took advantage of this area through inauthentic backlinks, the search engines, particularly Google, are cracking down on links that aren’t trusted. Google has updated their algorithm through updates called Panda and Penguin to reward authentic content and links and penalize Black Hat tactics. The best tools for identifying links and identifying trusted links are Majestic SEO, and Alexa. INDEXED: With the right keywords and links, your business starts to appear or is “indexed” on more search engine pages. You’ll want to report and track progress with a tool like Marketing Grader from HubSpot. TECHNICAL ISSUES: When links lead to pages that don’t exist or a website url doesn’t redirect properly, it can create a major setback in SEO progress. That’s why there is Google Webmaster Tools. They bring these issues to your attention immediately and should be installed on every website. SERP (SEARCH ENGINE RANK PAGES): To report and track progress as search rank improves, you’ll need a good tool to check your search rank. SEO Book is a great SEO resource and their SEO Rank Checker, with the Firefox Extension, is the tool to install. SITE SPEED: The speed in which your site loads influences SEO rank. Most people are not willing to wait long for what they are searching for. Pingdom and YSlow are two tools that tell you how long it takes for your site to load; how that compares to other sites and what is influencing site speed or slowness. GENERAL SITE AUDIT: If you want a good diagnosis of see progress in the steps you are taking above as well as steps you could be taking in the areas of blogging, social media outreach, tagging images and mobile search optimization, Marketing Grader is a helpful guide for evaluation and setting up a course of action. SEO can get technical but it doesn’t have to be rocket science. Everyone can learn because great tools are very accessible. There are very possibly others that should be include so please let us know. If you would like to learn more about SEO, let us know too. You may also find it helpful to know about key SEO measurements. 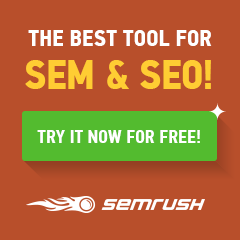 Do you think these are tools for SEO everyone should know? Thanks for sharing a great seo list! It seems all of them are great! I will check them out! for my site: http://www.seranking.com/features.com.